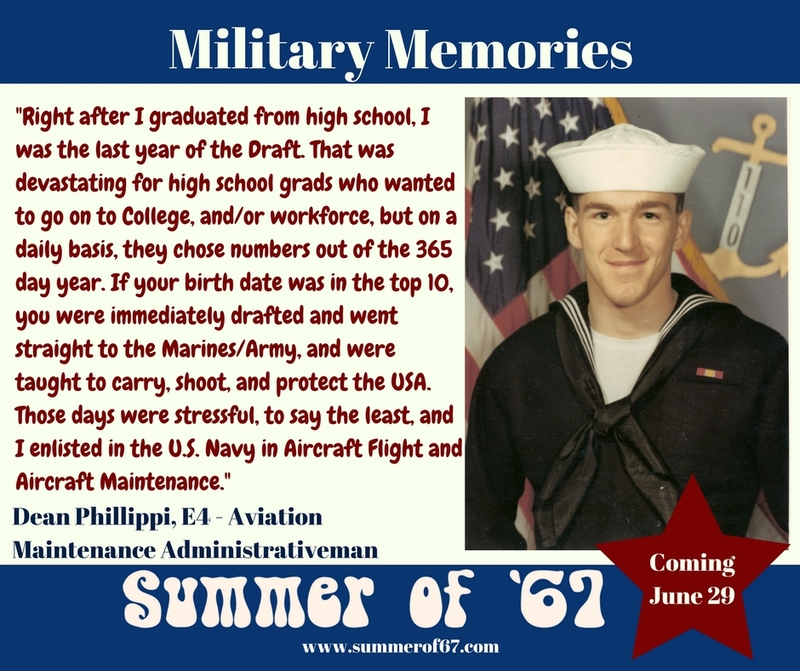 As we count down to the June 29 release of Summer of ’67, we’re celebrating Military Appreciation Month by sharing memories from men and women who have sacrificed much for our country. Today we have a special memory from Dean Phillippi, a Vietnam Veteran who plays the role of a Navy Officer in Summer of ’67. I could tell a lot of true and actual stories; (Good bad or indifferent), and it would take too long. Right after I graduated from high school, I was the last year of the Draft. That was devastating for high school grads who wanted to go on to College, and/or workforce, but on a daily basis, they chose numbers out of the 365 day year. If your birth date was in the top 10, you were immediately drafted and went straight to the Marines/Army, and were taught to carry, shoot, and protect the USA. Those days were stressful, to say the least, and I enlisted in the U.S. Navy in Aircraft Flight and Aircraft Maintenance. As a flight crew member, some of the Jet Aircrafts that I worked with were:A-1 Skyraider, A-3 Skywarrior, A-4 Skyhawk, A-6 Intruder, A-7 Corsair, C-1 Trader, E-1 Tracer, EKA-3 Skywarrior, EA-1 Skyraider, S-2 Tracker, and the propeller planes were: SH-2/UH-2 Sea Sprite, SH-3 Sea King. I was proud of serving our country, and learned a lot of maturity, survival, and how important it was to serve and protect our country! Yes, we never did get the “Welcome Home” veterans at all. After a while, we were allowed to wear plain clothes during our flights home, since that era there was hatred toward the veterans serving. We were 17, too young and in some cases, did not want to go to war, let alone hurt or kill someone, but that was our obligation – survival and defend our country. I saw a lot go to Canada to avoid the draft, saw friends come back home in wheel chairs, crippled and even in caskets, and we were affected by the Jane Fonda rebellion against our troops, but as a proud American, I served and did my duty. 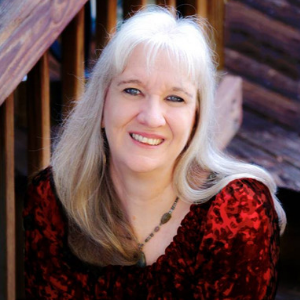 Our families at home were always on edge, wondering about us daily, as we were, in deep thought about them. 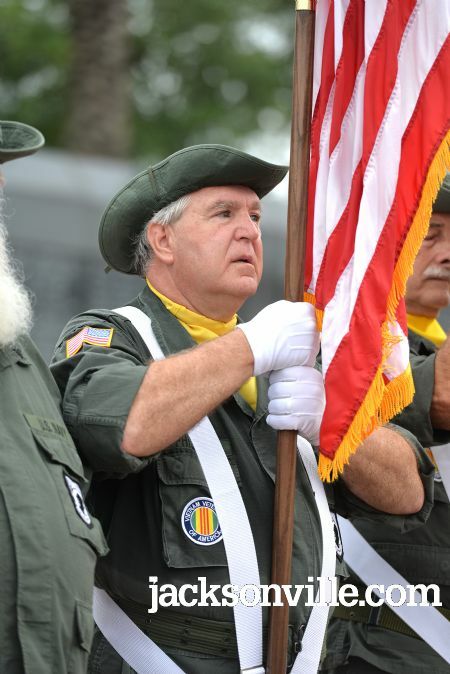 Today, I am a proud member of the Vietnam Veterans of America and serve as the Color Guard Captain! We wear our Vietnam War Era uniforms, and I proudly carry the American flag. 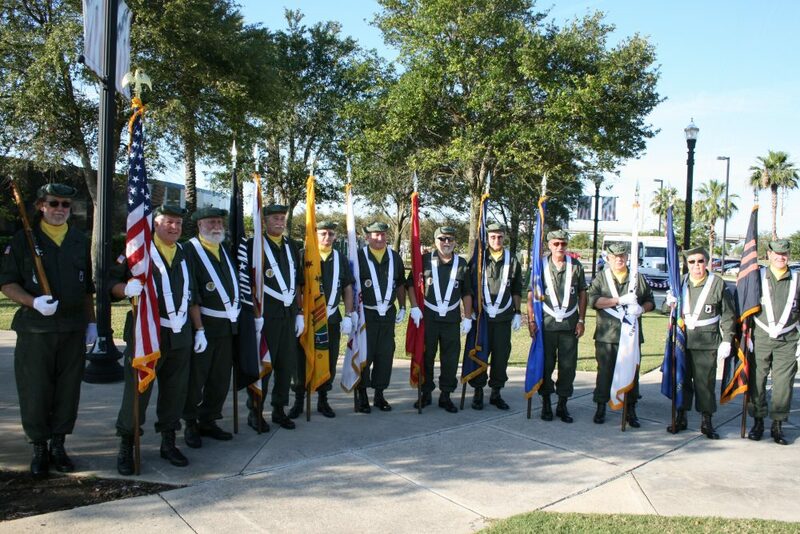 Oh yes, I had a Color Guard of 22 men, and in the picture below, I’ve lost several of them here in the past few years due to “Agent Orange”! That chemical is a totally different story since it took us several years to prove that it was Vietnam War related, and we won that battle, but so many proud Vietnam Veterans are suffering today and/or have died from it! 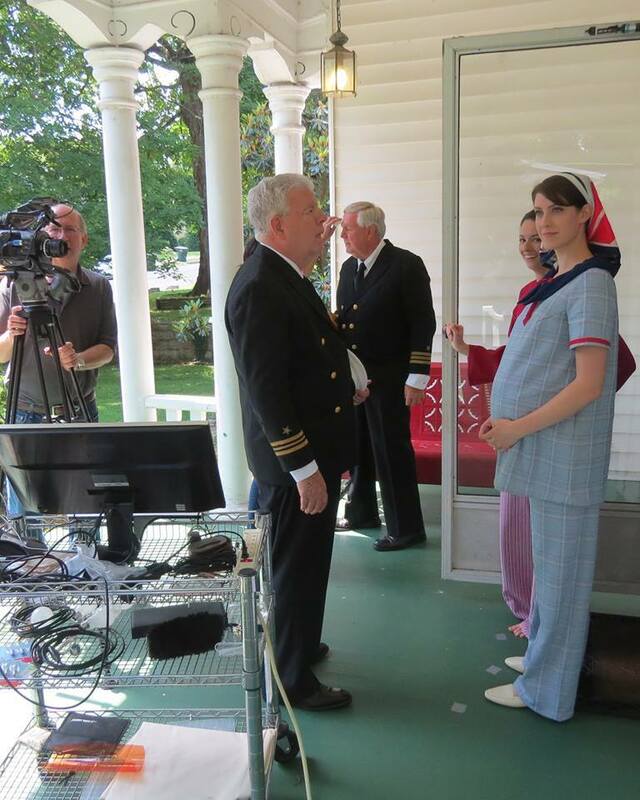 God Bless America, God Bless all those Vietnam War Era Veterans; (Men and Women), and thank you Sharon Campbell Wilharm and Fred Wilharm for doing this feature film, and allowing me to play the role as a Lieutenant. It meant a true value to me personally to be a part of this film. I’d highly recommend Summer of 67 as a must-see film for you and your family! To me it was truly inspirational, and the film gives you a true insight as to what it was like in the lives of those families, wives and girlfriends that were home waiting for their soldier to come home. I personally lived during that era, so I personally saw the people that went through the ups and downs of emotional feelings, hardships, disbeliefs, heartbreaks and heartfelt situations, and yes, as a military veteran, I walked along side those military veterans, so personally I saw what our proud veterans did for our country. As history states, during the Vietnam War Era, unfortunately there was no “Welcome Home”, for those military men, but the families, wives and girlfriends, were a major part of our lives to welcome us home. This film will depict all of this, so it is definitely a must see film. Dean Phillippi has trained and worked professionally in acting for about 10 years, and has appeared in over 40+ films, 7+ TV Series, 15+ Commercials, 5+ Live Stage Plays and 5+ Music Videos along with several print shoots for modeling! His dream work is to act in Christian Films, Action Films, Historical Films and True Story Films. 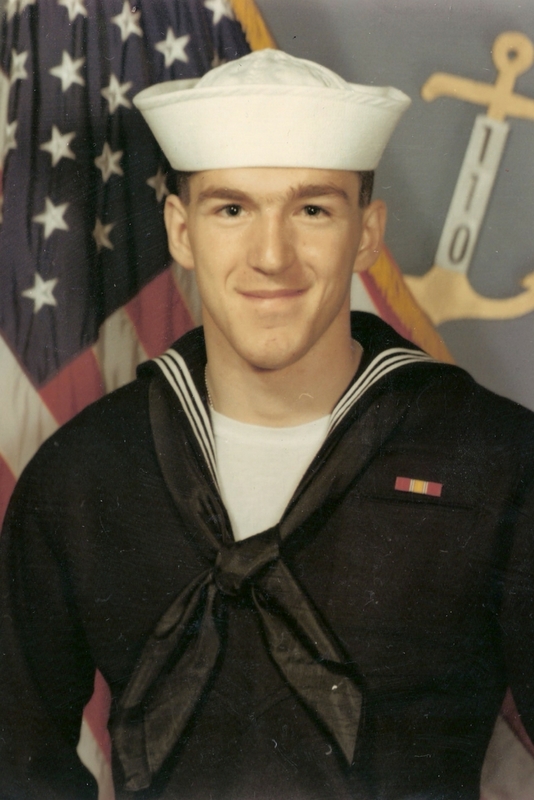 Dean enlisted into the U.S. Navy and served during the Vietnam War Era as a computer management professional.